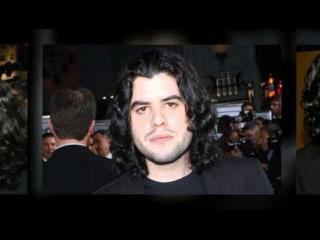 (Newser) – Sylvester Stallone's son Sage died of heart disease, not a drug overdose, an autopsy has determined. There were no significant amounts of drugs found in the 36-year-old actor's system, reports the Los Angeles Times. The official cause of death was atherosclerotic coronary artery disease—hardening of the arteries—that caused a heart attack, chief coroner investigator Craig Harvey told the New York Daily News. Stallone had a small amount of the pain killer Hydrocodone in his system, but it did not contribute to his death, officials said. Umm... does anyone not know that long term cocaine use can lead to cardiovascular problems....sorry but his COD may not be so innocuous and unpreventable. My condolences to the Stalone family. May god watch over you! When I was 34, I had a stroke, that was misdiagnosed as a heart attack. Reason being, they found hardening of a portion of my artery on the left-side of my heart. Watch your diet folks. There are lots of things I do not agree with that doctors tell me, unless they can back it up with scientific proof. Something they could not do at the time (they did not have MRI's, etc., back in the early 1980's. So for those that like to mock, ridicule and hate, go bite thyselves. Hydrocodone is not an opiate, Oxycodone (euphamism for Oxycondine) is. sadly his depression and heart condition where both likely linked to a simple vitamin and mineral deficiency.